Out of the Margins, 23rd January – 29th March 2018. 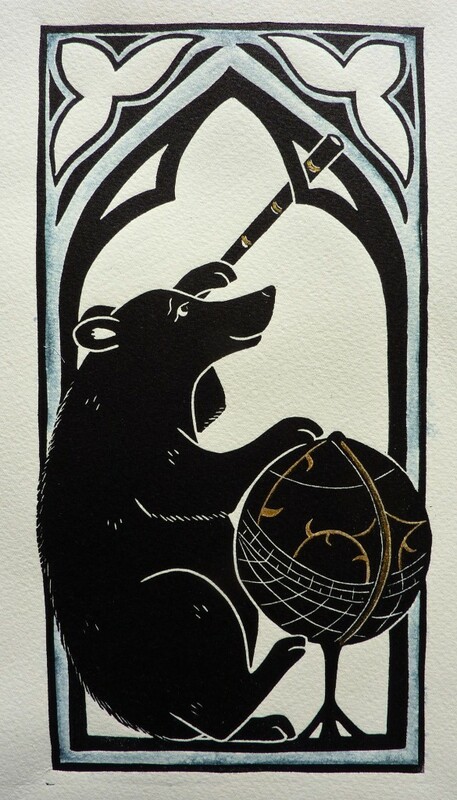 Sarah’s work is inspired by the marginal illustrations of medieval manuscripts. For this exhibition, Sarah has specifically drawn on manuscripts from the thirteenth and fourteenth centuries: mainly breviaries, psalters and books of hours commissioned by wealthy aristocrats and packed with extraordinary decorated margins which are seemingly unrelated to the text. These ‘marginalia’ often feature animals cavorting in foliate borders, taking on human attributes and generally having a good time. 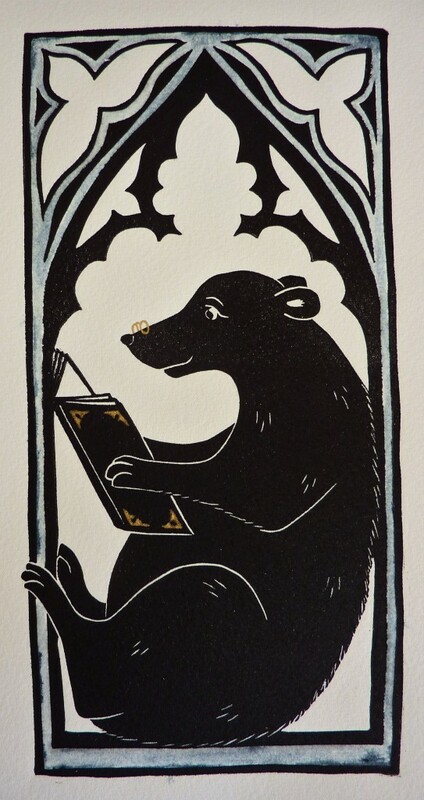 Sarah has used many of the common themes running through such manuscripts: animals as musicians, warriors, literati, and brought her own interpretation to these creatures of medieval imagination. About the artist: Sarah read History of Art at the University of Cambridge then completed an MA in Medieval Studies at York University before turning to printmaking. 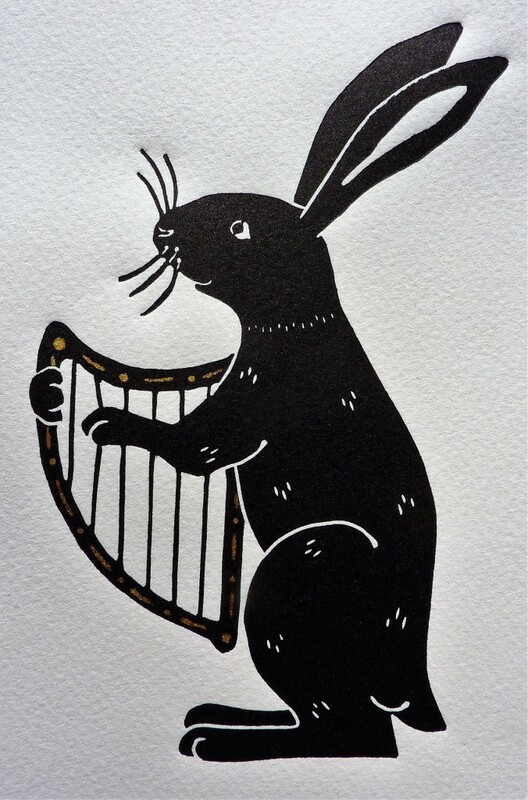 Sarah specialises in hand-pulled limited-edition linocuts. Working in a minimalist, illustrative style, she loves the bold simplicity of line to which linocutting lends itself so beautifully. She lives in the Eden Valley, Cumbria, with her Labrador, Quiver.